William Stoker and the late Emma Eames Stoker are pleased to announce the marriage of their daughter Mary Ann to Milo Riley Sharp, son of William Sharp and Mary Ann Sharp. 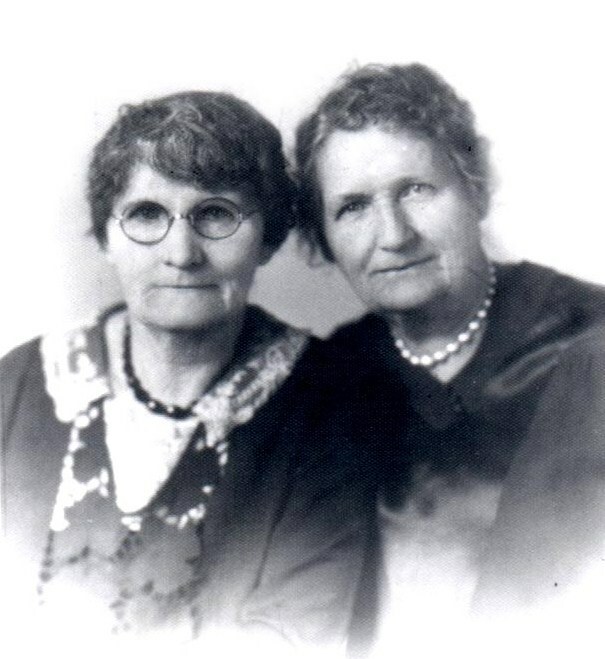 They were married in at the Episcopal Church in Plain City, Weber, Utah on 11 May 1879. Milo is currently a farmer in Plain City. Just trying to write these first three paragraphs was not easy with this family. So many twists and turns with each individual name makes it difficult to find the proper wording and fashion to form the sentences. I struggled on whether to call Mary Ann by her other known name, Lillian Musgrave. After marriage, she was known as Lilly M Sharp. Mary Ann was born 24 February 1861 at in Reading, Berkshire, England. The family was likely living at 18 Albert Street within St. Mary’s Parish. She was the fifth and last child (some show her as the 6th of 7 children though) of William Stoker, a journeyman saddler working in Reading, and Emma Eames. Emma contracted tuberculosis (listed as phthisis on the death certificate) and passed away 28 April 1863 at the same address after a year struggle with the disease. Mary Ann never knew her mother. 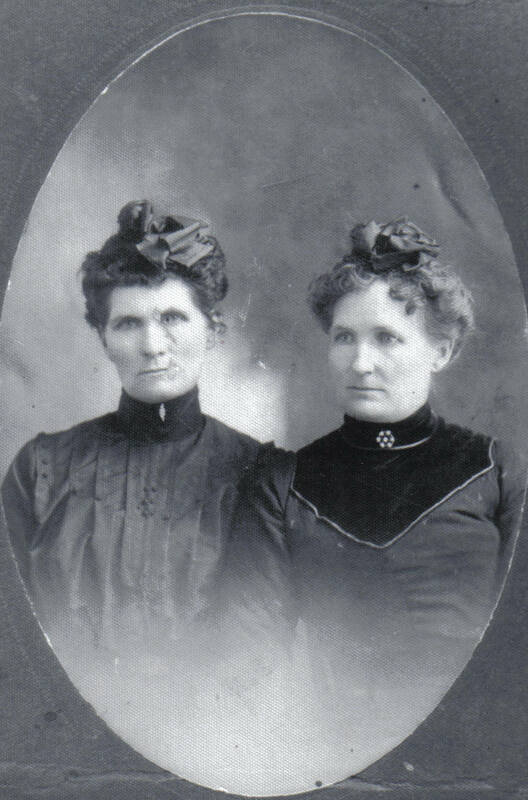 Her father and older sister (Alice) joined the LDS church 27 May 1863. 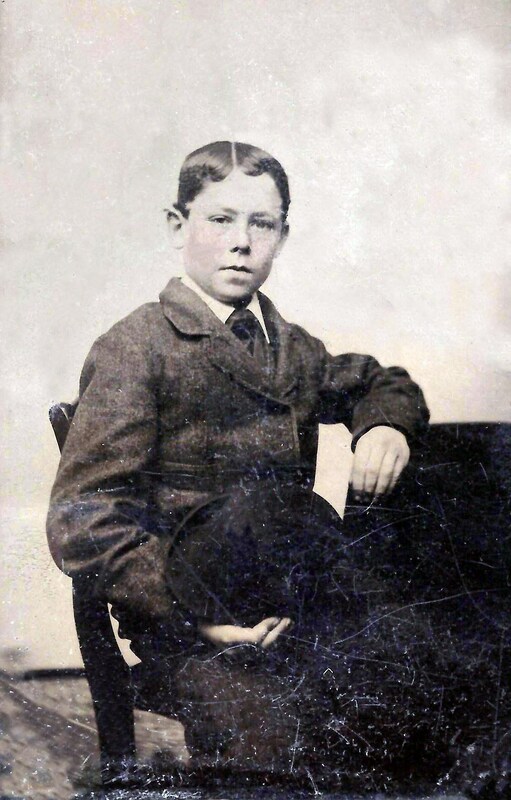 Her older brother, William Thomas, eleven years her senior, had joined 5 December 1860. The family wasted no time in gathering to Zion. The Stoker family departed from London on a ship called “Amazon” 4 June 1863. George Q Cannon dedicated the ship which was entirely of Saints (880+) headed for Zion. It was this same ship that Charles Dickens wrote that the Mormons were not taking misfits and scoundrels, but the “pick and flower” of England. Even George Sutherland, future U.S. Supreme Court Justice was on this ship. Here is a link to the story by Charles Dickens: The Uncommercial Traveller. The LDS church also tells of the story that day at this link: Amazon Departure. The ship sailed to Liverpool before finally heading out for America. Elijah Larkin, who would help found Larkin Mortuary, noted that on the 16th and 20th of June, Thomas Stoker was administered to due to a sickness since leaving Liverpool. The “Amazon” landed at Castle Gardens, New York, New York on 18 July 1863. The Saints took rail to Albany, Albany, New York and then to Florence, Douglas, Nebraska through Detroit, Wayne, Michigan. From there they hoofed it on to Salt Lake City, Salt Lake, Utah Territory arriving 3 and 4 October 1863 (depending on which of the two companies), just in time for General Conference. Several of the company wrote of Brigham Young coming out to greet them and giving them advice. William moved almost immediately to Ogden, Weber, Utah and set up shop working with leather. William wasted no time in remarrying to Eliza Sinfield in Ogden 18 May 1864. While Mary Ann is listed as a child for William and Eliza on the 1870 Census, she was actually living with George Augustus and Victorine Jane Dix Musgrave. She is listed with their family on the 1870 Census as well. Additionally, the other children from this first marriage were also being raised by other families. Family lore indicates that William and Eliza could not afford to raise these older children and farmed them out to families that could afford to take care of them. Other evidence points that they were not all that poor, but it is not likely we will ever really know. 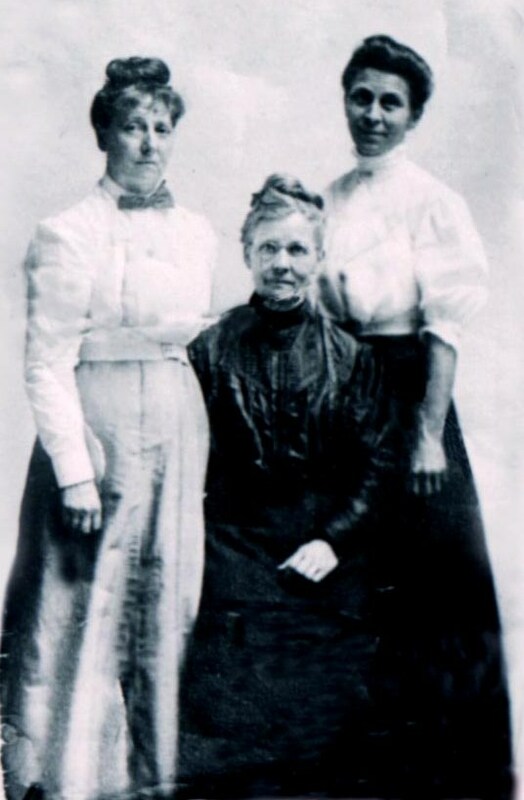 Here are three of the sisters later in life. Mary Ann was raised by George and Victorine Musgrave. She knew who her real father was, but had no real childhood memories of him. George Musgrave was a school teacher and musician in Plain City. 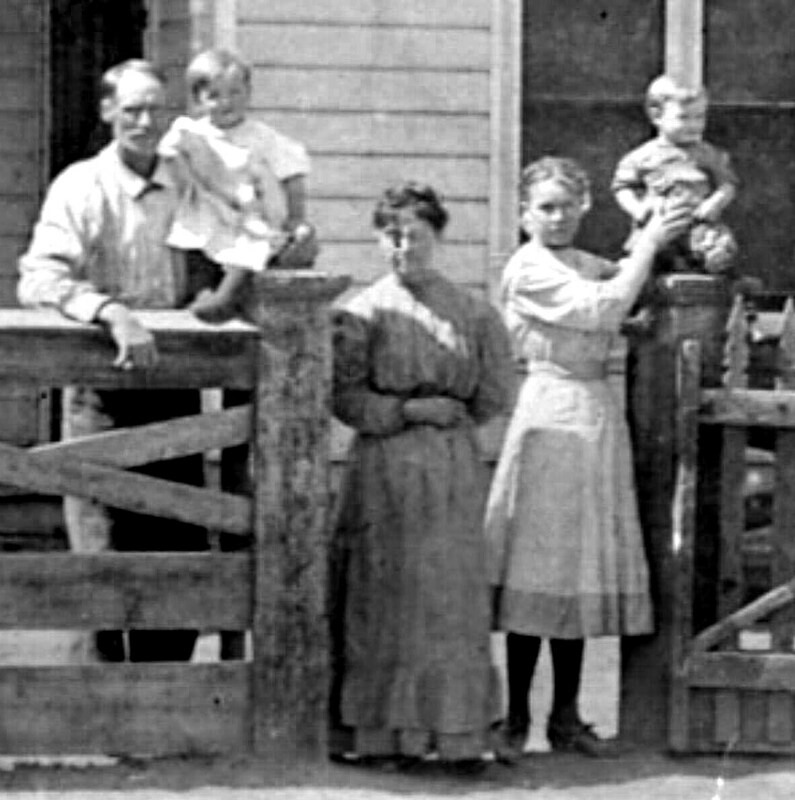 George and Victorine were unable to have children and Mary Ann was probably a welcome addition in their home. Victorine had also been adopted. 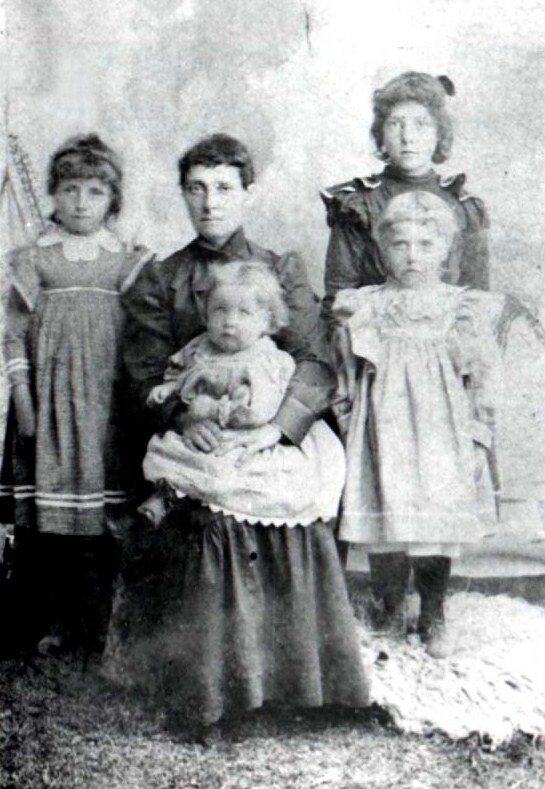 Although not formally adopted, George and Victorine called her Lillian Musgrave, but she grew nicknamed Lilly. The rest of her life she went by Lilly and took the Musgrave as her middle name after she married with the obvious middle initial “M”. Here is a picture of Victorine Jane Dix Musgrave. Her son, Austin, even lists his mother’s name as Lillee Musgrave. All was not well in Zion during these years in Plain City. Family lore has it that when a Bishop (Lewis Shurtleff, branch president 1870-1877, bishop 1877-1883) extended himself beyond what the members felt was right, these families made sure it was known. The final straw came when Bishop Shurleff started telling the members what they would give as tithing. These were not just on the fringe members, but good standing members of the church in the area. William Sharp (Lilly’s future father-in-law) began construction on St. Paul’s Episcopal Church in 1877 for many of these disaffected members (Still standing today and owned by the Lions in Plain City). For whatever reason a significant group of members were excommunicated between 1877 and 1882. Many of Plain City’s leading members were excommunicated. Excommunicated 31 January 1879 were William Sharp (the same who built the new church), Mary Ann Sharp (William’s ex-wife, divorced in 1876, Lilly’s future mother-in-law), William Skeen, Edwin Dix, George Musgrave (Lilly’s adopted father), Thomas Musgrave, Thomas Singleton, Thomas Davis, George W Harris, Jonathan Moyes, John Moyes, Winfield Spiers, James Wadman, Robert Davis, John Davis, and Thomas Robson. These lists also have “and wife” as well as “and family” which seems to indicate that this list may have included spouses and families. Mary Ann Sharp (Lilly’s future mother-in-law) is the only woman, but perhaps because the rest were representing their families, where with the recent divorce she was not represented by William. Many of these families returned to the church after time away, some individuals never did. While Lilly’s name is not on the list, she was probably classified with the Musgrave family. We do not have any record of her baptism, but she was with the Musgrave family attending the newly established St. Paul’s Episcopal Church. 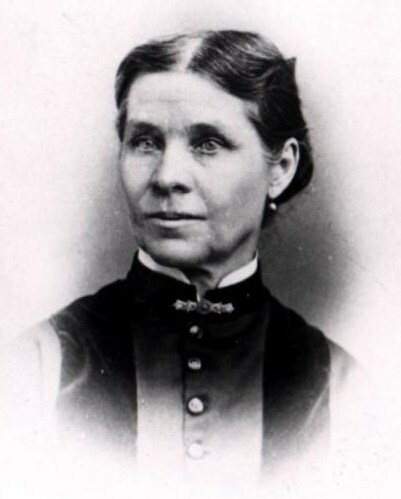 Although it seems Victorine Musgrave was excommunicated, she continued active with LDS Relief Society (or she was not excommunicated). It was during this time, Lilly also come to fall in love with Milo Riley Sharp. William Sharp, with the assistance of Milo, had also helped build the Musgrave’s new home. In St. Paul’s Episcopal Church, J. S. Gellogly married Milo and Lilly on 11 May 1879. Milo Riley Sharp was born 23 Jul 1857 in Lehi, Utah, Utah. He was the fourth of six children born to William and Mary Ann Bailey Sharp. Mary Ann did have a child, Lorenzo Padley, from a previous marriage in which she was widowed. 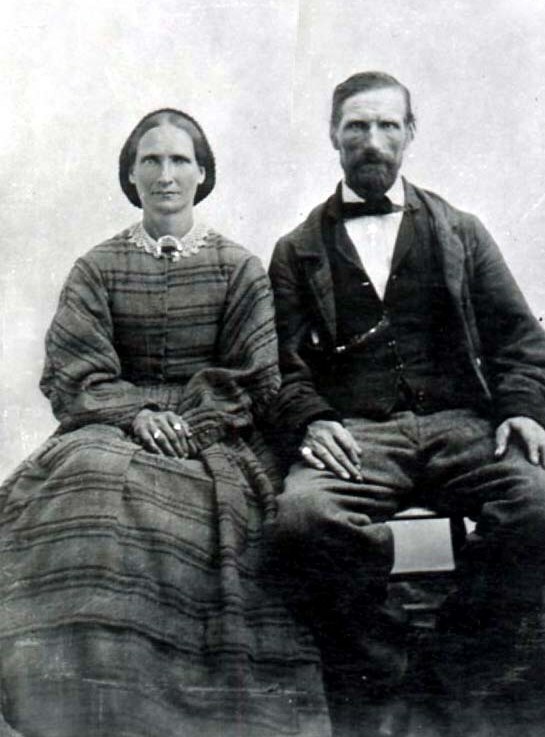 William and Mary Ann Sharp immigrated to Utah in 1853 after joining the LDS church in 1848 and 1846 respectively. At first they were sent to Lehi but had a number of issues with range for the cattle and some other minor squabbles. Water was also not found to be very dependable in the Lehi area. William learned of land north near Ogden that was going to be opened up from some of the Saints passing through Lehi (abandoning Salt Lake City before the arrival of Johnson’s Army). These Lehi Saints were told of ample land and good water that was available west of Ogden. A scouting expedition went to search out the area in the fall of 1858 and visited with Lorin Farr who told them of the available plain to the west. You can read more of his parents at: Sharp-Bailey Wedding. 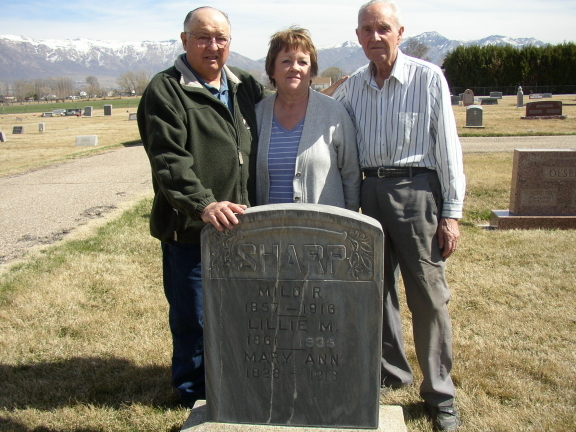 The Sharp family left with other Lehi Saints on 10 March 1859 to travel to this new area. The group arrived 17 March 1859 at what is present day Plain City. William Sharp put his carpentry and masonry skills to work making adobe brick and helping build the first homes in Plain City. In one of these first adobe brick homes is where Milo Riley grew up. 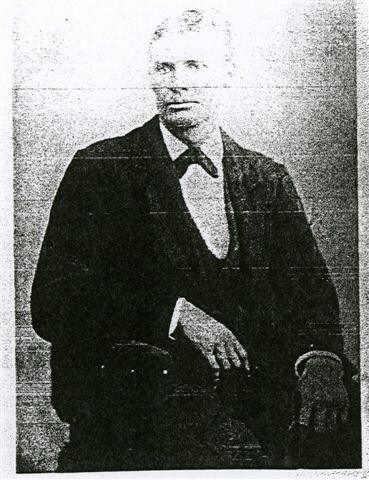 William served in the Plain City band, the Plain City Z.C.M.I. board, a builder, and a city leader. Milo’s little sister, Evelyn, was the first girl born in Plain City in October 1859. Milo’s mother, Mary Ann Bailey Sharp, moved out on Christmas Eve 1875 and refused to come back to William. William sued for divorce and Franklin D. Richards granted the divorce (in probate court) on 19 May 1876. As mentioned earlier, the Sharp’s also had a falling out with the LDS church and were excommunicated the same day as the Musgrave family. Since there were not loads of people in Plain City, Lilly and Milo knew each other. The conditions in the community, their respective families excommunication, probably help to forge the commonalities they had and led to their marriage. Milo kept busy working with his father building homes and other masonry and carpentry work. He also had time to play first base at baseball and played on Plain City’s first baseball team. The team could beat all the other northern Utah teams except Salt Lake. The marriage of Milo and Lilly eventually produced a quiver of 12 children. Milo Ray on 29 February 1880. George was born 2 August 1881 and passed the same day. 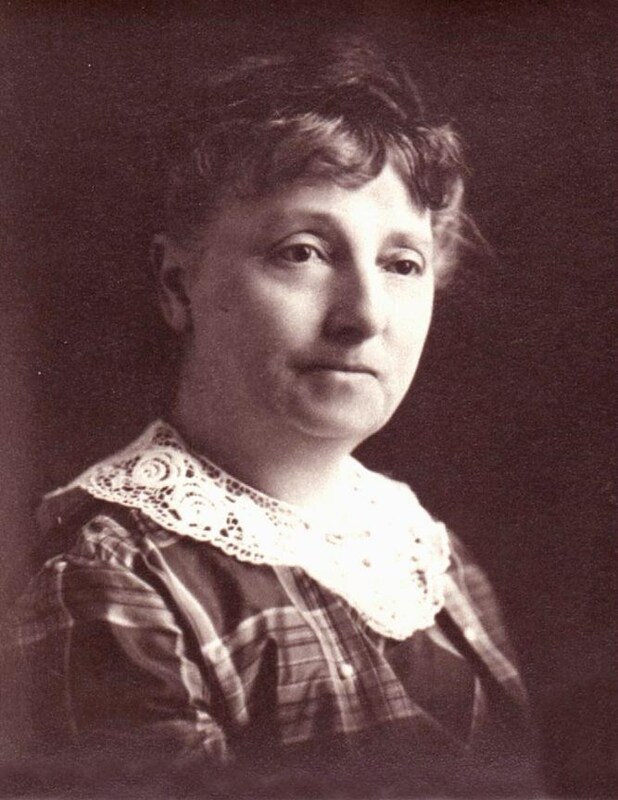 Effie was born 6 June 1882 and died 6 September 1883. Delwin arrived 30 June 1884. Ernest and Austin came 7 Jan 1886. 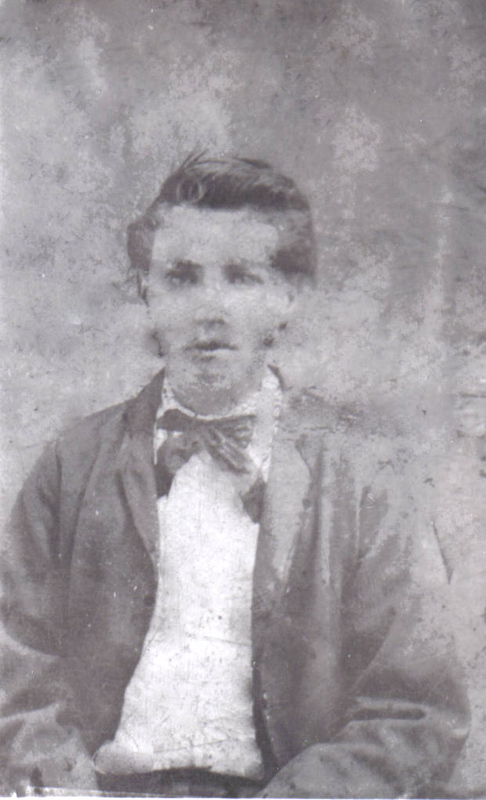 Edward William appeared 25 October 1887. Victorine showed 23 November 1889 and later married Fredrick Lawrence Hunt. Mary Irene materialized 26 June 1892 and married Oscar “Os” Child Richardson. Edith dawned 4 February 1895 and married Clements Richard Martin. Ethel was born 9 April 1898 and I have written of her at this link: Ross-Sharp Wedding. Emily appeared 5 April 1900 and quickly extinguished 31 July 1900. Nine of the children lived to adulthood and 8 of those married and had children. Milo built a new home for the family early on so the family had room to grow. He added to it as more room was needed as you can see in this photo. 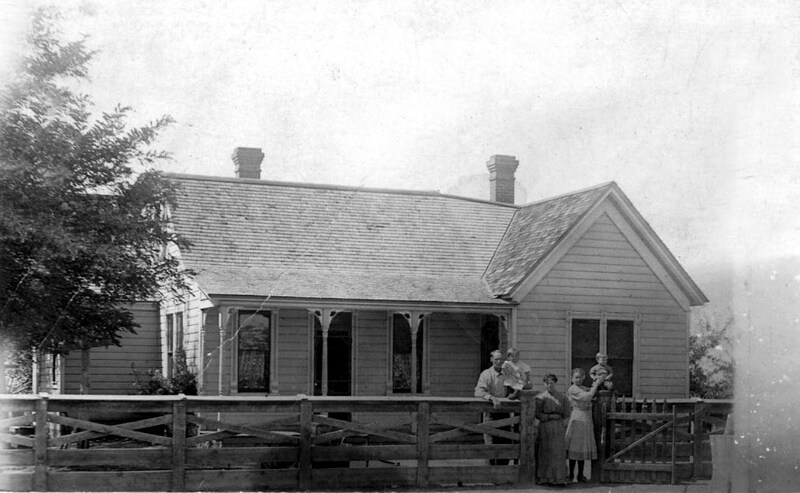 We do not know the year it was originally built, but we know the children after 1888 were born in this home. The home’s address is 2897 N. 4200 W. in Plain City. Milo successfully farmed all of these years. He kept busy with civic affairs. 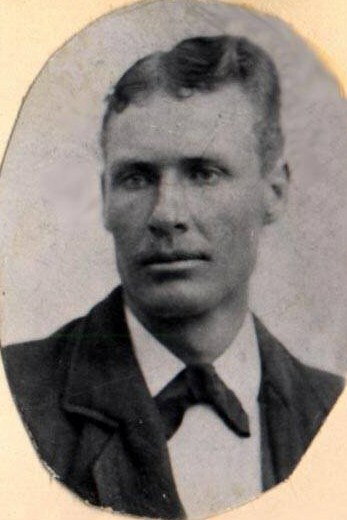 He was elected constable of Plain City on the Republican ticket in 1891. In 1893, he sat on a committee to investigate the incorporating of Plain City, although it was not incorporated until 1944 with grandson William Albert Sharp serving on the town board. Milo and Lilly were singers and continued to play in the Plain City bands. Lilly was also well-known for her poetry. 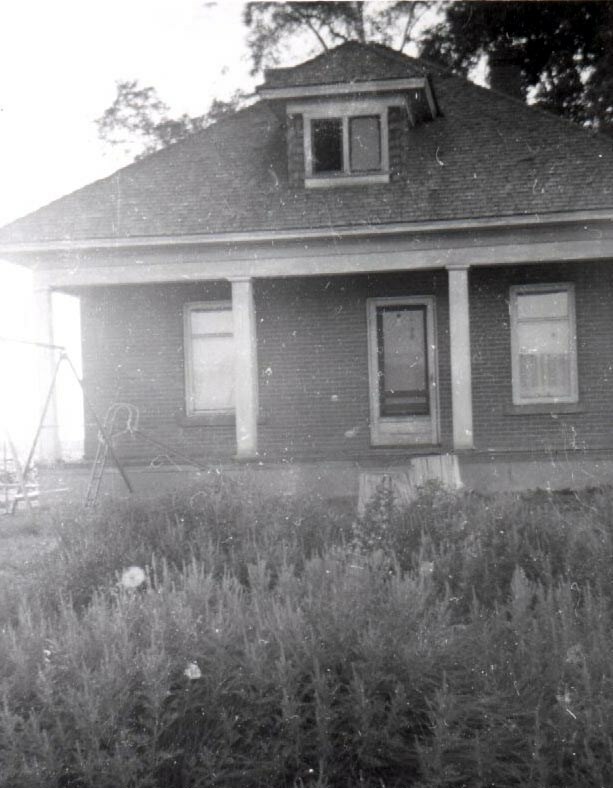 In 1911, Milo finished building a new home, pictured below (address is 2771 N. 4200 W. in Plain City). Milo farmed hard until he caught influenza and eventually pneumonia passing away at the early age of 59 at 9:30 a.m. 24 June 1916 at his sister’s home, Victoria Maw, who lived at 5 Warren Court (which I believe may now be Warren Row or Lane in Ogden). His funeral was held in the little church he helped his father build, St. Paul’s Episcopal Church on 27 June 1916. Lilly lived in this home until she passed away in 1935. Her son, Ernest Sharp, never married and helped take care of her and then lived the rest of his life in the home (he died in 1967). Milo James Ross, Lilly’s grandson, purchased the home at that time and later transferred it to his daughter, Caroline. Lilly kept a clean home. The grandsons were taught to stop by every time they passed, especially to and from school. This permitted dishes to be washed, wood to be hauled, and wood to be split. Lilly had a strict regimen for cleaning pots, dishes, and pans (especially bedpans). This included the outdoor pump station, even with lye to remove odors. The boys knew to take special care not to make a mess when carrying fire wood or in any other way on entering the home. The gate was always to be closed, whether coming or going. While this might seem stern, she always opened the door for those coming and going and gave them a warm smile. Lilly often made bread, keeping her own live yeast, often from warm potato water. She had her own milk separator and used it. The boys helped make butter and she treated the boys to buttermilk and warm bread. She would also warm apples in the oven to share or dried fruit. She kept a full root cellar with homemade cured meats, dried fruits, and bottled vegetables. The Sharp family had onions that could be used to flavor soups and other needs. Many of the family still grow these onions even until today. Many mushrooms and water crest were gathered too. Lilly often had kind words and a warm, gracious smile. She kept a small table in the pantry where she brushed her teeth with salt, baking soda, and a bar of soap. The bucket was always there with a drinking cup and a ladle to draw water. She was thin and tall. She wore long dresses from her neck to her feet with shoes that went up about six inches. She kept her hair rolled in the back of her head held with a comb with long teeth. If she was not thin enough, she wore a corset to make her look even smaller. She was very neat and proud in her appearance. She kept a spinning wheel in the home for the times when she would spin wool into thread. She also had the grandsons help turn her mattress from time to time. She did not leave the house much in her later years unless she had a ride, but even then did not stay long before going home. It was clear she enjoyed watching her grandchildren. The last decade or so of her life, she had to use a hearing tube to hear. Some of her grandchildren joked that it was like using the telephone, just you could see who was on the other end. Lilly passed at 10:55 p.m. at her daughter’s home, Victorine Hunt, 6 May 1935 of hypertension with chronic major carditis and pneumonia. She had remained faithfully active in the Episcopal Church until she could not get around very much. Later in life she needed assistance as she could not walk very far. Her funeral was held in the Plain City LDS chapel with Rev. John W. Hyslop officiating on 9 May 1935. She was buried with Milo in the Plain City Cemetery.